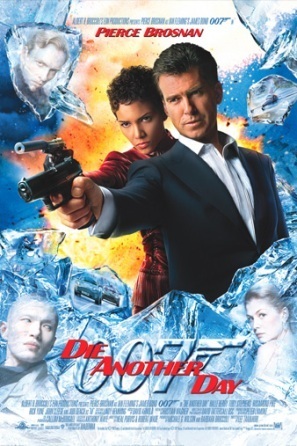 Die Another Day (2002) is the twentieth spy film in the James Bond series, and the fourth and last to star Pierce Brosnan as the fictional MI6 agent James Bond. In the pre-title sequence, Bond leads a mission to North Korea, during which he is found out and, after killing a rogue North Korean colonel, he is captured and imprisoned. More than a year later, Bond is released as part of a prisoner exchange, and he follows a trail of clues in an effort to earn redemption by finding his betrayer and learning the intentions of billionaire Gustav Graves, who turns out to be the same colonel he supposedly killed. Bond pursues the colonel to stop him from using a satellite to reignite the war between North and South Korea. The 2002 film received mixed reviews—some critics praised Lee Tamahori's work on the film, while others pointed out the damage caused to the plot by the excessive use of CGI. In spite of its flaws, it became the highest grossing James Bond film to that date. It was distributed by MGM themselves in North America, and internationally through 20th Century Fox.